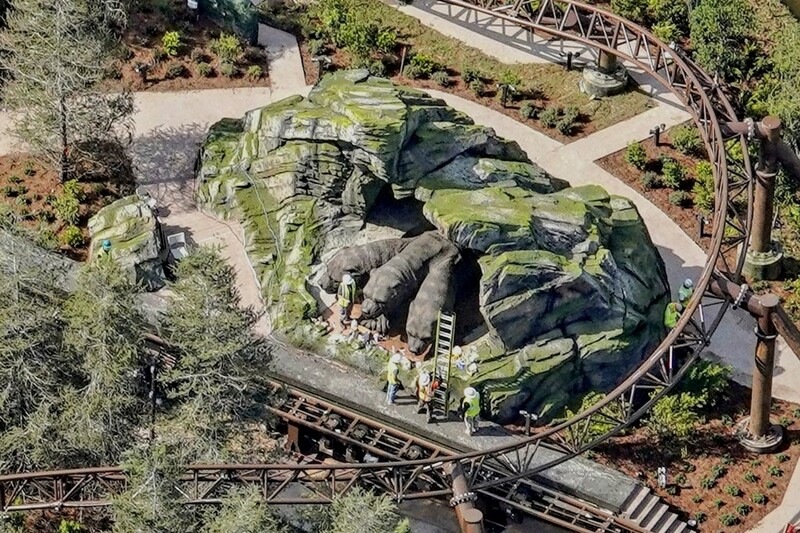 New Details and Ride Testing for Universal Orlando's 'Hagrid's Magical Creatures Motorbike Adventure'. Wow, I still think that name is a mouth-full to say and the same with typing it. From now on, we're just going to shorten that one to 'Hagrid's Motorbike Adventure'. So yes, new details have come down the line on what all is included with this newest addition to Wizarding World at Islands of Adventure. 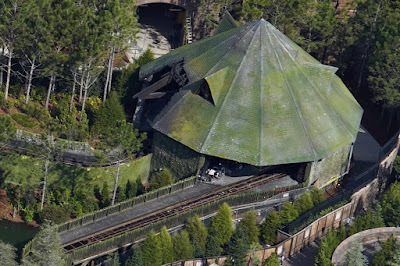 Universal has stated that "Race thought the forbidden forest at speeds up to 50mph, moving both forwards and backwards at times. Encounter some of the Wizarding Worlds rarest creatures, including: A Centaur, Cornish Pixies, Fluffy, the three-headed dog and a special new creature that has never been seen in the film series. Plus, you'll have an encounter with Devils Snare along the way". As expected, Universal is touting this new attraction as their most highly themed, immersive coaster yet. 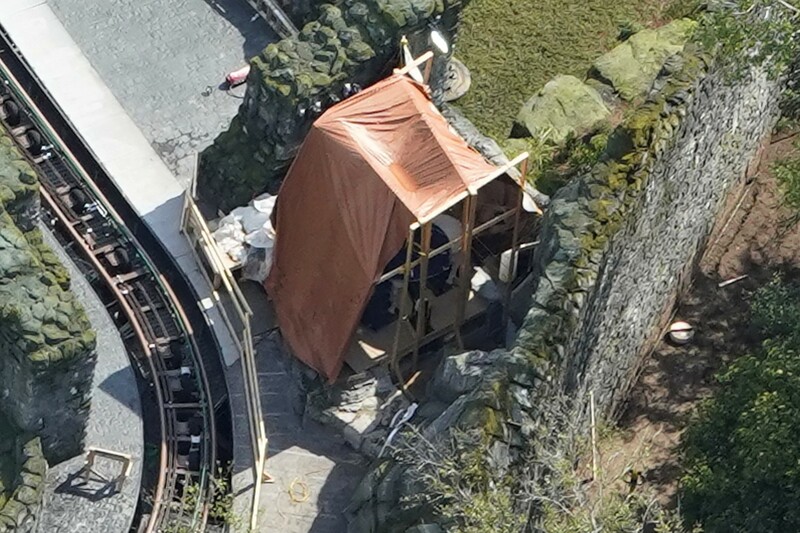 It's also rumored that the list above isn't complete, that the ride will also include seeing a unicorn, threstrals and no one can seem to decide what the 'mystery' creature will be! OrlandoParkStop has posted some amazingly detailed aerial photos with some great shots! Again, you can see more of these high-res images on OrlandoParkStop. Early ride testing video has also been spotted online, showing a few more details of the train and the coaster. We've included the video below. Overall, this is looking to be an amazing attraction coming from Universal Orlando and we can't wait to check it out in person!